After waiting more than two years on the repair of her truck, an Arlington woman turned to NBC 5 Responds. Patricia Chapman wanted to make sure her son is in a safe, reliable car. She bought him a 2003 Dodge pickup truck a few years ago. “It was in good condition when I bought it," she said. "It was running very well." But a couple of years in, she said the truck started making strange noises and she wasn't taking any chances. She took it in to Reliable in Arlington to get it checked out. “The water pump went out,” she said. “[Reliable] replaced it and they did a good job. But Chapman later learned of a much bigger problem, one that no driver wants to hear: engine problems. “They told us it would be right at $2,500,” she said. Chapman said the mechanic agreed to let her pay in installments. When she made the final payment, she was expecting to have the truck a few days later. “It is now two years later and some months and he still has not finished the truck,” she said. Chapman tried calling the mechanic and the owner for answers. She even sent them a letter, demanding to have the truck repaired and returned. “He has ignored the phone calls. He has ignored the letter. He has ignored all the conversations that I’ve had with him,” she said. 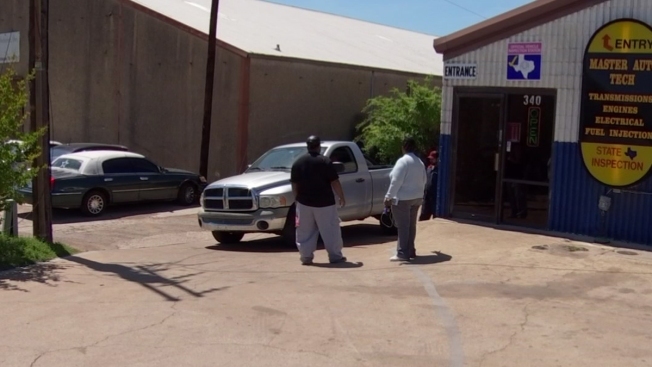 The Chapmans have also made trips to the auto shop and say the truck is in the same spot they left it in: outside. Meanwhile, the family has had to rent cars and share a vehicle for several months now. Her son said he even has to ride his bike to get to work. The NBC 5 Responds team reached out to the owner of Reliable, Ramon Robles, and he said the mechanic that the Chapman's worked with, AJ, is no longer employed at the shop. He said he paid AJ commission for the work he did in the shop, but never received the Chapmans' money. Robles promised to have the truck ready in a couple of weeks, but another month went by and the truck was still in the shop. The NBC 5 Responds team met with Chapman to visit Reliable and find out what was going on with the truck. “[AJ] told me [Chapman] hasn't paid nothing. She hasn’t paid all of it. I'm waiting for her to give me more money,” Robles explained. But Chapman doesn't owe the shop any more money, as the receipt signed by AJ shows Chapman "paid in full.” But Robles said he still isn't sure what happened and that it was "out of his hands." “It's just a big headache and I’m just trying to resolve it so she don't have no problems and I don't have no problems,” he said. We left the shop to give Robles more time to work on the truck. He said it would be ready that day, but later discovered a problem with the radiator. Later that week, he called Chapman and her son with good news: the truck was finally ready and she didn't have to pay any more. “Eventually I'm probably going to have to replace it but I'm just glad to have it back in my yard,” she said. Get referrals from friends or family members who have a mechanic or shop they have been happy with. Visit the shop, talk to customers about their experience. Keep all receipts and documents. File a police report if you feel a shop is withholding your vehicle.